Known in TCM as He Huan Pi or collective happiness flower. It calms disturbed Shen (anxiety, insomnia, bad dreams) and is a very effective mood elevator. Mimosa is also used for irritability, depression, mood swings, poor memory, and anger. Especially the fragrant apothecary roses are a delight to the senses - they look beautiful, smell wonderful, taste delightful in teas or jellies, and even feel soft and silky. Roses have long been a gift to ask forgiveness or indicate love and affection. Aromatherapists use attar of rose for depression, to "open the heart," and to comfort those in distress. A well-known heart and cardiovascular remedy used for angina, congestive heart failure, atherosclerosis, and atrial fibrillation. Hawthorn is primarily thought of as a circulatory tropho-restorative, but it is also a nervine, digestive aid, and anti-inflammatory. In TCM it is used for dyspepsia and gas. Hawthorn also reduces inflammation in connective tissue and the lungs (especially cardiac asthma). Use cautiously with antidepressant medications and during pregnancy. High Blood Pressure Tea is Smile's most popular herbal tea blend; many of our faithful customers rely on this time-tested formula. With the presence of Hawthorne, it is one of the most studied herbal combinations for help in hypertension. Contains: Hawthorne Berries, Linden, Yarrow, Hawthorne Leaves, and Cramp Bark. Directions: Pour 1 cup of boiling water over 1-2 teaspoons of herb, cover, and steep for 10-15 minutes. Strain and drink 3 cups daily. Formulated by owner Tom Wolfe, this bulk herb alterative blend cleanses the blood and tastes good! It is a wonderful tonic for the spring or any time that the blood is not properly fiery. 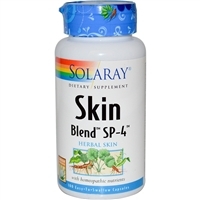 Specifically, Sarsparilla is used in the treatment of psoriasis, and Smile has noted much improvement in cases of acne from the use of Yellow Dock. Directions: Lightly simmer 1 tsp of herb blend in 1 cup of water for 10-15 minutes. This product is not intended to diagnose, treat, cure or prevent any disease; the law applicable to dietary supplements, the Dietary Supplement Health and Education Act of 1994, commonly referred to as DSHEA, does not permit us to do so and it is not our intention to do so. The Contraindications and Potential Drug Interactions information provided on this website is not intended to be all-inclusive. Keep your healthcare provider informed about any herbal and other dietary supplement products that you are taking. Joints Ease is one of our best selling bulk herb recipes. Outside of Ginger and Sarsparilla, this blend's usefulness is purely folklore and customer satisfaction. Somehow it doesn't matter a whole bunch to folks who are suffering if pain relief is backed up by folklore of FDA approved studies. Ashwagandha is one of the most highly regarded and commonly used adaptogens in the Ayurvedic pharmacopoeia. Ashwagandha is one of the most highly regarded and commonly used adaptogens in the Ayurvedic pharmacopoeia. two areas that are often affected when blood sugar is imbalanced. 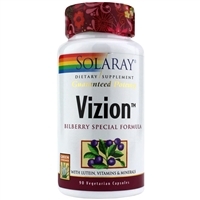 minerals to support optimal eye health and visual acuity.